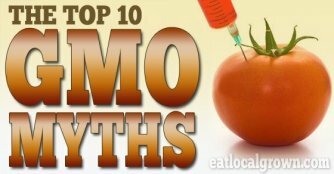 HOW TO AVOID GENETICALLY MODIFIED FOODS If you are shopping on a budget, then you may consider including non-organic items in your shopping cart. The more information you have, the better judgement calls you can make. Despite what you have been told by certain “authorities”, the raw vegan diet is no fad. It has been going on since time immemorial, and has been written about and taught (just in America) for almost 200 years. Before fire, all food was raw. Yes, it’s true; the cavemen followed, for want of a better term, a Paleolithic diet. The first real food fad was probably “fired food,” that burned in fire; i.e., once humans figured out how to control fire, and found out that fire changed the taste of food, and/or made some of it easier to chew, people started working out cooked food recipes and sharing them with friends, who might have been wary at first of this new food fad. Once people found out that cooked food could be held a bit longer without spoilage than raw food could, the new fashion of putting food into, or above, or under a fire took off like, well, wildfire. At some point, people also learned how to intentionally grow vegetables, rather than just looking for wild-growing vegetables. Somewhere along the line, people discovered that, if they covered foodstuffs with salt, they could preserve them. People just started getting more and more clever about what to do with the food they could get their hands on, and started developing their own recipes, often with secret ingredients which they refused to share with those who admired their recipes (This is one tradition which has lasted into modern times). Refrigeration was a great boon to mankind. Our forefathers could rarely lay their hands on fresh meat or fresh raw vegetables simply because such things went bad very quickly. Initially, most people hunted fowl, deer, squirrels, rabbits, and other game for fresh meat. Once farm animals were domesticated, farmers might raise an extra cow or two for meat, but, after they had slaughtered a cow, they had to work fast to use that meat before it putrified. Hence the early prohibitions, in religious texts, against eating the flesh of certain beasts – the meat from those animals was simply too difficult to preserve for any amount of time, and the propagators of those religions saw an advantage in preserving the lives of believers. Most people ate a primarily vegetarian diet simply because it was easier to get their hands on fresh or preserved (pickled/fermented/cultured) vegetables, fruit, and grains than on fresh or reliably preserved meat. Many believe that, in what is now Israel, the Essene community, a Hebrew sect, observed a vegetarian diet. This diet has been deduced from information in the Dead Sea Scrolls, which are said to date to over 2000 years ago (This idea was popularized by Edmund Bordeaux Szekely, in his cult-favorite book, “The Essene Gospels of Peace”). It has been said that, in the 4th Century BC, Pythagoras requested that his followers eschew meat, as he believed that following a diet of raw vegetables and fruit was the best way to maintain a healthy body and develop and maintain mental acuity. It is also said Hippocrates, the famous Greek physician, recommended a live vegan diet for healing purposes. Fast forward to America in the 19th Century. In the 1820s, Sylvester Graham , the very same fellow who developed graham bread, the precursor of the modern graham cracker, as a health food, firmly advocated a high raw vegan diet. Under his tutelage, “grahamites” opened boarding houses where those who wished to follow Graham’s nutritional recommendations could live among others of like mind, and be served meals which followed Graham’s nutritional dictates. Graham was an early proponent of concepts which were later incorporated into the idea of food-combining, or Natural Hygiene. In the early 1900s, in California, Arnold Ehret, a German immigrant to the U.S. began espousing his Mucusless Diet System, recommending a transition from cooked foods to a raw fruitarian diet. The first American raw vegan restaurant was opened in Los Angeles, California, in 1917. Its owners, John and Vera Richter, named it “The Eutropheon”, after the Greek word for “good nutrition”. The Richters held weekly lectures on raw veganism, and Vera Richter wrote “Mrs. Richter’s Cook-Less Book (possibly the first raw vegan recipe book in America, published in 1925). Among the Richters’ followers were the Hollywood actress, Greta Garbo, and, also, Paul Bragg, who went on to become a natural health advocate, and provider of natural raw vegan products. (The restaurant remained popular into the 1940s). Herbert Shelton, an early 20th Century chiropractor and naturopath became interested in the 19th Century works of Sylvester Graham. His first book, An Introduction to Natural Hygiene, published in the 1920s, revived interest in Sylvester Graham’s earlier work. Shelton became known as the father of the modern natural hygiene movement. In 1945, Kristine Nolfi, a Danish physician, after curing herself of cancer by observing a raw vegan diet, opened Humlegaarden, a sanatorium for the treatment of cancer through raw food diet. In the 1940s, 50s and 60s, John Martin Reinecke, a California horticulturist, lectured on the benefits of a 100% raw food diet, and published “Adventures in Raw Food”, a monthly magazine column. Ann Wigmore, a Lithuanian immigrant to America, whose name has become synonymous with the “modern” raw vegan movement, experimented with natural healing ideas in the 1950s to rid herself of various health concerns. In 1956, she opened a small sanatorium on her farm. Initially, Wigmore espoused a vegetarian diet, but she eventually graduated to the raw vegan diet she is best known for. She was also a proponent of proper food combining, aka Natural Hygiene. In 1961, she teamed with another Lithuanian immigrant, Viktoras Kulvinskas, to open Hippocrates Health Institute in Boston. After Brian Clement acquired the rights to the name Hippocrates Health Institute in the 1980s, Wigmore continued her clinic under the name Ann Wigmore Foundation. In 1967, George and Doris Fathman published Live Foods, based on their exposure to Arnold Ehret’s Natural Hygiene ideas, as well as J.M. Reinecke’s teachings. In 1969, John Tobe published the No-Cook Book. In 1970, TC Fry became interested in Natural Hygiene, developed a series of lessons, and began lecturing on Natural Hygiene. In 1975, Viktoras Kulvinskas published Survival into the 21st Century, which helped popularize Ann Wigmore’s ideas, and introduced to a large market the concepts of food combining and raw foods. Brian Clement became involved with the Hippocrates Health Institute in the 1970s. In the late 1970s, he worked at Humlegaarden in Denmark. He returned to the Hippocrates Health Institute, where he became the director in 1980. After Clement acquired the rights to the name Hippocrates Health Institute, he moved his operation to Florida. In 1985, Harvey and Marilyn Diamond’s book, Fit for Life was released by a major publisher, bringing the ideas of Natural Hygiene and raw food to a larger audience than ever before. The raw food movement has been growing ever since. With the Internet’s ease of communication, the idea has spread world-wide. The availability of more modern appliances has encouraged folks to become very creative, indeed, with raw vegan recipes. Of course, with such widespread information sharing, it is just as easy to find folks who have become disenchanted with the raw vegan diet. Among those who have made big names for themselves in raw vegan marketing, a number do seem to be renouncing, and even denouncing, raw food, or a 100% raw diet, possibly as a way to move their marketing in some other direction. A few years back, I heard Brenda Cobb announce that a summit of raw food leaders had met and decided that 100% raw was no longer a logical goal, and to only recommend 50-75% raw. I was a bit surprised, since there has never been any requirement anywhere for anyone to be 100% raw. Still, to hear such a pronouncement, and, lately, to hear such “raw food names” as Kevin Gianni and Frederic Patenaude boldly announce that “raw food is dead”, and that the “raw food fad” is over and done with seems a bit strange to me. I went raw in 1974, and I don’t see any reason to stop now. Is the raw food diet dead? This is a concept that several people who have, up to now, styled themselves as “raw food gurus” are espousing. Frederic Patenaude, one of the biggest names out there, raw food-wise, has announced that the raw vegan diet is a fad that has passed. Brenda Cobb announced, in a workshop I attended a few years ago that, at a “summit” of raw food “authorities”, it had been decided that it was not necessary to go all raw. Kevin Gianni, another self-styled public “raw food guru” has announced that “raw food is dead”. In my experience, a raw vegan diet is a personal issue. You can be 100% raw vegan, or you can be 90%, or 50% or working on getting 25 % raw food into your diet. I’ve been raw vegan or mostly raw vegan for over 30 years. As far as I know, when I started, it was not a fashion. I started just because I was on the broke side, and, as a graduate student, I didn’t have much time to prepare food, and I found that I could make what I called a “progressive salad”, i.e., chopped cabbage, onion, tomatoes, bell pepper, garlic, kelp powder, olive oil, and apple cider vinegar, and eat of it as I wished, then put the leftovers in the refrigerator, and add to them the next day – these salads went on for about 4 days, and then I added hot water and made soup to finish it all up. In the 70s, I found a book by the Fathmans called Live Foods. I took that home and learned a couple of other things I could do with raw foods. I still didn’t think much about it. It was just food. I discovered Viktoras Kulvinskas’s book, Living in the 21rst Century, and, from there, found Ann Wigmore’s writings. In those days, this was a catch-as-catch-can process – there was no Internet, and all you could find was whatever popped up in Yes Bookstore in Georgetown, in Washington, DC. I found out about “modern raw food recipes” in 1999. Wow! More stuff to make to eat! I was delighted, and bought my first food processor, then a Champion juicer, then a high speed blender (I had always wanted a VitaMix from the time I saw one in a state fair when I was about 10). I used made all sorts of inventive recipes, but, you know what? More often, I still made the food that I had always made. That was my comfort food. Fast forward to now: I have a dehydrator now, as well as a Cuisinart food processor, the same 1975 vintage Champion juicer, and a Nutri-Bullet (the VitaMix actually died after 10 years of faithful service, right on time, when the warranty I had expired). From time to time, I will make crackers or chips or bread in the dehydrator. I also dehydrate vegetables I don’t like that come in my CSA box, and I make green powder of them, to use in soups, or as seasoning. I dehydrate leftovers that I know I am not going to eat anytime soon, so I can rehydrate them later. The three things in my kitchen that get a lot of use are the Champion juicer, the food processor, and my good old Chinese stainless steel cleaver, which has been with me forever. I’m still raw. A few years ago, I started collecting old raw vegan recipe books. I now have the oldest one anyone remembers, from the 1920s, as well as several others, mostly from the 1960s and 1970s. As far as I am concerned, raw food is not dead, and it is not a fad. Okay, there has been the raw food “phenomenon” which started up in the late 1990s, and which may well be burning out. There used to be some raw food groups here in New York City, and I used to hang out with them, at potlucks. I never asked anyone “how raw are you?” because I just didn’t care. It has never been a contest with me. It has just been what I eat. I did think it was kind of fun when folks dished on local “raw food gurus”, reporting sightings of said “personalities” exiting Thai restaurants, or what-not. Still, I have never succumbed to the allure of any raw food guru, so nothing ever changed for me, regardless of what “So-and-So” had been seen doing. I have always told everyone who asks that I am 95% raw 100% of the time. That is because I cannot promise that you will not see me eat something that is not raw. I haven’t done it in recent history, but I am not going to say that I don’t do it, because I might, if I get a notion. Anyway, the upshot of all this is that, if you want to go raw, do it. Just because the fad may have passed does not mean that a raw food diet is not good. You may become more interested in nutrition and investigate the different raw food schools. The most recent raw food school has been the low fat diet. (As a nutritionist, I see that this approach is what has caused a lot of people to ditch the raw food diet, because they get too many cravings. Fat is necessary in the human diet. There are good fats and there are bad fats. If you are eating a raw vegan diet, there are simply no bad fats to be had. Raw nuts and seeds provide protein. Avocados provide all sorts of good things. Fats are necessary for the building of healthy cell walls (Since the AMA started advocating a low-fat diet, we have seen a rise in here-to-fore unknown diseases, sensitivities, and allergies. In the past few years, the AMA has begun serious back-peddling about fat in the diet. Some say that salt should be avoided. (I am a low-salt person by nature – I never put salt on my food when I lived at home, and, when I moved away, at first, I didn’t have salt in my apartment (until people who came over for dinner kept asking for it – then I got a shaker-ful of salt) Still, I would not say that you should not use salt in your food (sea salt, or natural salt, provides a lot of health benefits). Although I rarely put salt in my food, I do recognize that it is an important ingredient for health (I get most of my salt from fermented vegetables, actually). Some will say that you should not use strong herbs and spices. I’m sorry. Strong herbs and spices, such as garlic, cumin, and red pepper are proven, in herbology, to be good for you. If you don’t like them, don’t use them, but don’t decide that they are not food for you just because some self-styled “guru” has dissed them. If you desire them, then it is probably that they bring some needed element into your diet. As a nutritionist, an herbologist, a Bach (and other) Flower Therapy practitioner, and an herbalist, I have found that natural herbs and spices that you are attracted to tend to be things that bring certain properties into your system. (if you come to eat at my house, your food will not have much salt in it, but it will be brilliant with garlic, cumin, cilantro, and onion). The folks who guide you to avoid such edibles are most likely folks who do not tolerate them well (For example: I cannot stand mango. I understand that this is a systemic issue within my own personal body. I do not tell other people not to eat mango, because this mango sensitivity is my own. Mango is known to have great nutritional value. The fact that I cannot eat it does not mean that you should not). Another example would be that, in my family, only my grandfather liked hot sauce. I like hot sauce (to the point that I have learned to make my own hot sauce, so I can control the ingredients). Many people do not like hot sauce. There is something in hot sauce that attracts certain individuals. That is a nutritional or constitutional thing. Just because you do not like hot sauce does not mean that it is a bad thing. Now, if you are interested in incorporating raw food in your diet, that is a good thing. In real life, there is no rule that says that you have to become 100% raw tomorrow.. The Raw Food Expo usually has some interesting things to see, hear, and do. I remember that, at my first one, I was hungry, so I found a booth that was selling raw crackers. I had never seen raw crackers before! I was so in awe! They had an Excalibur dehydrator there, and I made up my mind to get one for myself ASAP … and that is how I came to have my Excalibur 11 years ago. So far, we’ve covered cookware; knives and knife techniques; food storage; food combining; herbs and spices; soaking grains, nuts, and seeds; and setting up a drying station. The part where I have gotten stuck is on the latest two lessons, which are about foraging. Here in New York City, there are only the city parks for foraging, and I have been deathly afraid of those parks for the past 25 years (I’ve only ever gone to Central Park 4 times, and I have only been to Riverside Park once in all that time.) I know that people go into our many parks all the time, but, for certain reasons, I am terrified of them. So, with this lesson, I realized that I have to take some sort of action, regardless of the anxiety. I’ve exchanged emails with Wildman Steve Brill , who runs foraging tours of the city parks, and am poised to possibly sign up for his next foraging tour into Central Park. Oh, I am excited. Mr. Brill is well-known in New York City (he must be, if even I have heard of him), and he was very welcoming and generous when I contacted him, so I feel as comfortable as I am going to about this upcoming new experience.